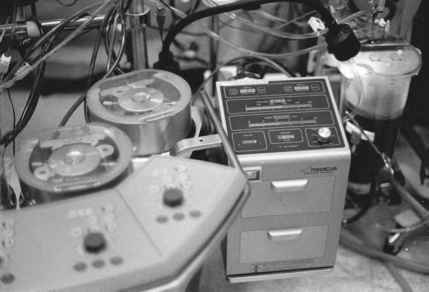 The first electrocardiogram (ECG) recording detailing the structure of atrioventricular conduction was made by Tawara nearly 100 years ago (1). Soon after, Mayer first observed rhythmical pulsations made in ringlike preparations of the muscular tissue of a jellyfish (Scyphomedusa cassiopeia) (2,3). In a ringlike preparation of a tortoise heart, Mines was able to initiate circulating excitation using electrical stimulation (4). Shortly thereafter, Lewis and Rothschild described the excitatory process in a canine heart (5), and after a delay because of the events of World War I, Lewis and coworkers reported the first real "mapping" experiment in 1920 (6). These studies were the first attempts to illustrate and document reentry in the intact heart, and their work has had a great influence on subsequent mapping studies. Hence, the field of cardiac electrical mapping was established. Soon after, the idea of mapping arrhythmic activation encompassed an ever-larger number of studies, including those of Barker et al., who performed mapping of the first intact human heart in 1930 (7). continued development of highly technical mapping systems have considerably enhanced our understanding of rapid, complex, or transient arrhythmias that cannot be sufficiently characterized with more conventional methodologies. These new systems provide powerful tools in the assessment and subsequent treatment of cardiac patients, particularly with the promise of accurately pinpointing the source of arrhythmias and correcting cardiac function. Despite this increase in knowledge, arrhythmias such as atrial fibrillation to date require more definite treatments in most cases.